The Rolling Round Light by Case Design. Anne Green (left); and Samuel Barclay of Case Design . “I love how Mumbai-based architects Case Design fuse traditional craftsmanship with contemporary design. Their work is quiet and ultra-sophisticated, with exquisite detailing—they design their own door handles and light switches. 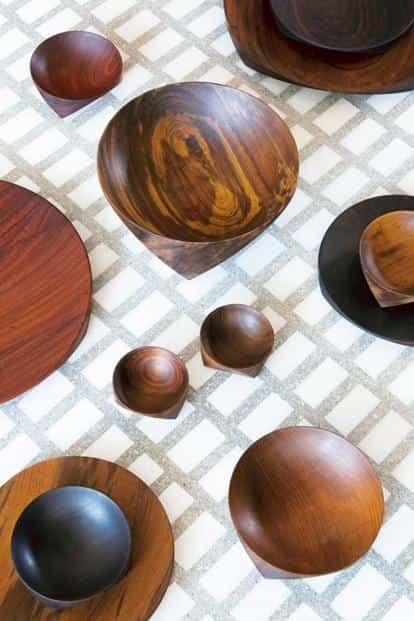 Principal architects Samuel Barclay and Anne Green (pictured above) also create furniture and accessories under the name Casegoods, most of which are made by master craftsman Punaram Suthar in Alibaug. I’d love to own their Rolling Round Light, made of bronze." Topologi Bowls by Case Design. Shyama Shetty (left) and Pranav Mishra of Huemn. “My picks are Vogue India Fashion Fund 2016 winners Pranav Mishra and Shyama Shetty of Huemn. Their designs have brought a cool, new-age sensibility to Indian fashion. Taking athleisure out of gyms and bringing it to every urban woman’s wardrobe, their clothes marry fashion with function and grit with glamour. They are cleverly using their aesthetic to address various social and cultural issues. And that’s really the function of fashion—to mirror and reflect the times we live in." 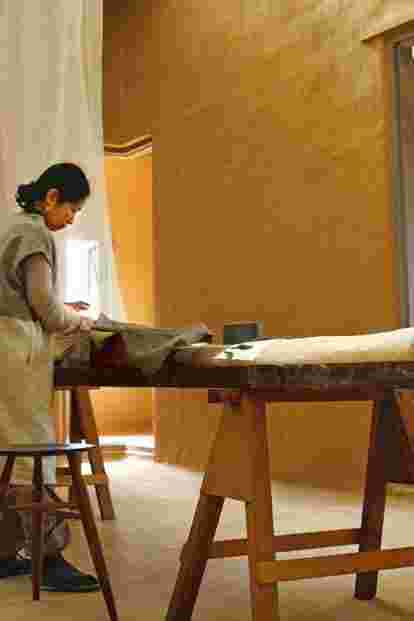 “Ganga Maki is a weaving facility in Dehradun built by its founder Chiaki Maki (pictured above) and architect Bijoy Jain. Chiaki spends half the time in Japan and the rest in India. It is rare to witness the creation of a space that values its inhabitants and its ecosystem. Her approach and execution towards making and developing in India feels new and needed." Shefali Balwani and Robert Verrijt (right). “I’ve been following the work of Shefali Balwani and Robert Verrijt and I like their sensibility of combining raw form with the contemporary aesthetic. They have had the opportunity of spending time with the Sri Lankan architect Channa Daswatte (a protégé of Geoffrey Bawa), so they had an opportunity to get an insider’s perspective on Bawa’s work. Their company philosophy is based on their experience there. The duality explored within the context of a drastically changing world has become one of the main themes in the work of Architecture BRIO. House On A Stream, Alibaug, by Architecture BRIO. “They also spare time to teach occasionally at the KRVIA School of Architecture in Mumbai. With Billionbricks, a non-governmental organization committed to ending homelessness, they set up a dedicated studio called Bb-Studio. They are also part of the Bandra Collective, where the firm is involved with research and design of public space in the city. We need more people with their vision."